Home What is Gratitude Art? Gratitude Art - or "the Art of being in the state of Gratitude" was created in 2008 by Line Lyster as a result of seeing and experiencing how being grateful improved and changed her own life. The challenge she found was to stay focused on being grateful - to remember the good things in life and to feel the deep feeling of appreciation on a consistent basis. After creating the product range of Gratitude Art and implementing these products into her life, it became easier to stay in the positive vibration of gratitude. The products are reminders in your daily life to notice that life is good and to be in the state of Gratitude. They help you focus on a daily basis. By focusing on Gratitude - on feeling grateful every day, you transform your life. 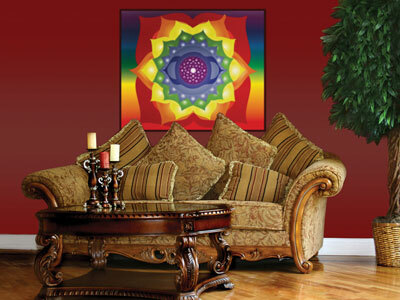 Gratitude Art provides visual reminders helping you to live in gratefulness each day. Gratitude Art has been created to bring happiness and abundance into your life. This unique range of products has been lovingly and individually crafted with a great deal of care and attention, to help remind you to give thanks and gratitude to the universe. Whenever you read the message on a gratitude art magnet, a notebook, a canvas or a mug, you will feel inspired and focused to give gratitude and thanks, and to receive plenty of good things in return. Studies have shown that people who are more grateful experience higher levels of well-being.